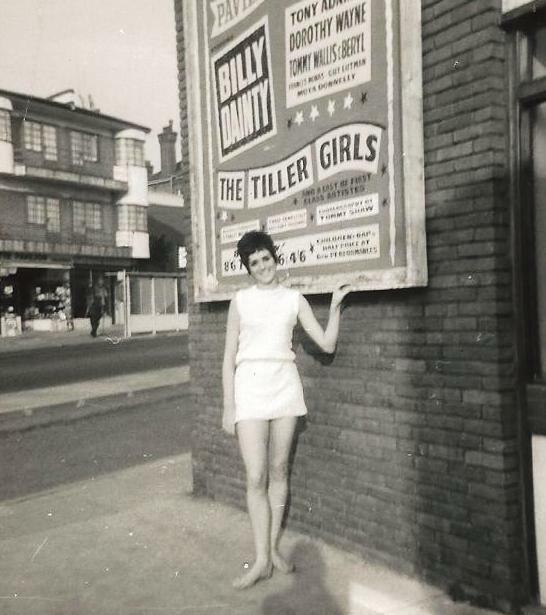 A picture from Bob Smoothey of an 18 year old Ann Calvert taken in 1966, She was performing with The Tiller Girls with Billy Dainty, Dorothy Wayne, Tony Adams, Tommy Wallis & Beryl. Bob’s father Len Lowe was also performing. Ann now lives in Canada.